Can fortune cookies really lead to a fortune? Emma Duvoll of New York thinks so. 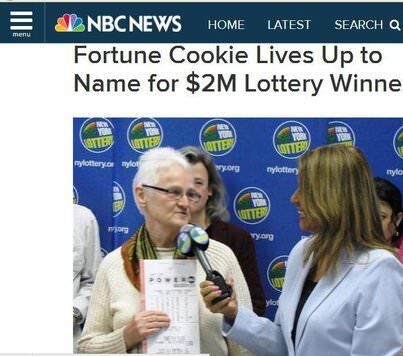 She tried using numbers she found in a fortune cookie on a lottery ticket and won a $2 million Powerball prize. A delighted Emma plans to invest most of the money, and use a bit to visit family in Switzerland.